Digging into the Word together in Mark 13:1-8 with Rev. Dr. Gary Ziccardi. On Wednesday, November 14 in Room 2 at 10:30am. 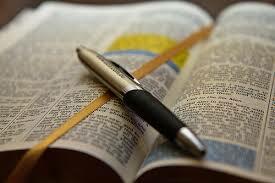 Come ready to observe, interpret, evaluate and apply God’s Word in your lives. By cdccastillo in Bible Study on November 8, 2018 .